(PRESS RELEASE) – The Centre for Policy Alternatives (CPA) made representations today on behalf of itself and its Executive Director, Dr. Paikiasothy Saravanamuttu, intervening in the reference made by President Maithripala Sirisena to the Supreme Court regarding his term of office as President. The case was listed for 11 January 2018, and the Supreme Court’s opinion is to be communicated to the President on 14 January 2018. Article 30(2) of the Constitution: The President of the Republic shall be elected by the People, and shall hold office for a term of five years. Section 49(1)(b) of the 19th Amendment to the Constitution: For the avoidance of doubt it is hereby declared that … the persons holding office respectively, as the President and Prime Minister on the day preceding April 22, 2015 shall continue to hold such office after such date, subject to the provisions of the Constitution as amended by this Act. (emphasis added). Furthermore the 19th Amendment to the Constitution clearly states which parts of the amendment do not apply to President Sirisena as the incumbent President and the reduction of the term of office is not such a provision (Section 51 of the 19th Amendment). 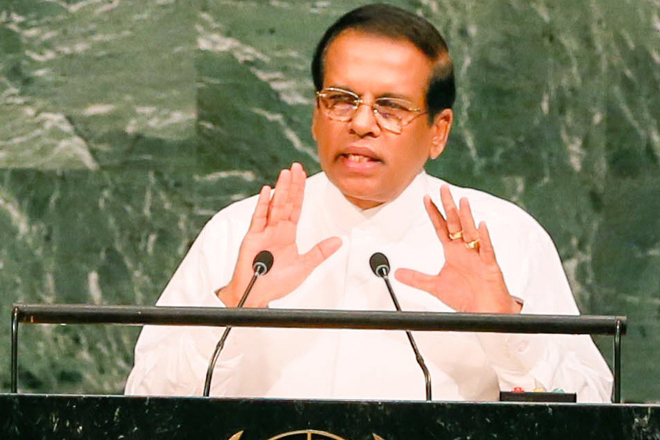 Accordingly, President Sirisena’s term must be understood as being for five years from 9 January 2015 (i.e. until 9 January 2020) and not for six years (i.e. until 9 January 2021). CPA notes that in the lead up to the enactment of the 19th Amendment in 2015, President Sirisena himself noted that the reduced Presidential term of five years will apply to himself. CPA hopes the President is mindful of his earlier assertions. CPA also urges constitutional and political actors to act in a manner that upholds the spirit of the 19th Amendment. CPA appreciates that the Chief Justice and the other judges of the Supreme Court facilitated and permitted interventions from members of the public to make representations in this instance. CPA notes that there have been previous occasions wherein only the Attorney General was heard during similar proceedings. CPA has consistently stated that the process in Article 129 (1) of the Constitution relating to a reference could lead to a lack of transparency. As such CPA respectfully calls on the Supreme Court to ensure that the ensuing Advisory Opinion is made public.